This collection of readings is complementary to Introduction to Integrational Linguistics (Language & Communication Library, Vol.17), but can be used independently. 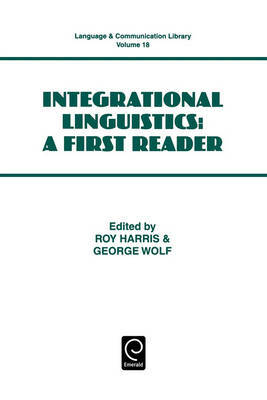 It brings together for the first time 24 key papers in integrational linguistics, and is intended to serve as a basic reading list for students and others making the first acquaintance with the subject. Originally published in sources that are for the most part out of print, these papers have been revised and updated by their authors where necessary. They are arranged in six sections: Language and Communication, Language and the Language Myth, Language and Meaning, Language and Discourse, Language and Writing, and Language and Society. An editorial introduction discusses the individual contributions and their relevance to integrationist theory. Also available in hardback.